The surgeon was supposed to operate on my right foot, but instead, operated on my left foot and I had to have multiple surgeries to correct all of the subsequent issues. Can I file a Florida medical malpractice claim? When a wrong site surgery at a hospital occurs, it usually happens because of medical negligence by the surgeon, medical staff or both. A personal injury lawyer will review your case and give you guidance in filing a Florida medical malpractice claim. Pre-verification – the surgeon and medical staff should go over the patient’s medical record to verify all aspects of the surgery taking place. Marking the surgery site – someone from the medical staff should correctly and accurately mark the surgery site so the surgeon and other medical assistants are aware of the area. 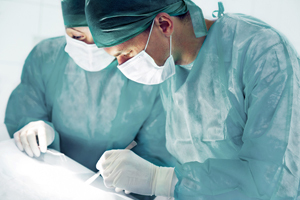 Reassurance – the surgeon and medical staff should carefully review who they are working on, the correct surgery site they are working on, and the surgery procedure they will be conducting. You should be able to file a Florida medical malpractice claim if your surgeon and medical staff failed to acknowledge the importance of going over these steps. A wrong site surgery at a hospital can leave medical malpractice liability on more than just the surgeon and his/her medical staff. You may also be able to collect compensation from the hospital. To pursue a full and fair amount of compensation from your Florida medical malpractice claim, an experienced lawyer can evaluate present and future financial, physical, and emotional costs.